Realty Income Corp (NYSE:O) pays a big, steady, monthly dividend (3.9%, annualized), and the shares have declined more than 13% since August 1st. To some, this may be a screaming buy signal. But before diving in headfirst, we believe there are three big risks worth considering. First, Realty Income’s management team is sending signals of lower growth ahead. Second, share dilution remains a significant risk to shareholders. And third, Realty Income is particularly exposed to accelerating inflation (if it materializes). However, despite these risks, we’ve still ranked Realty Income #9 on our recent list of top 10 Big-Dividend REITs Worth Considering because of its ability to deliver what many investors want- big, safe, monthly dividends. Realty Income acquires and manages commercial properties that generate rental revenue under long-term net lease agreements. It’s big ($15.9 billion market capitalization and over 4,500 properties in its portfolio), and it’s an income-investor favorite because of its steady monthly dividend payments. And as the following chart shows, its price has recently come down significantly. 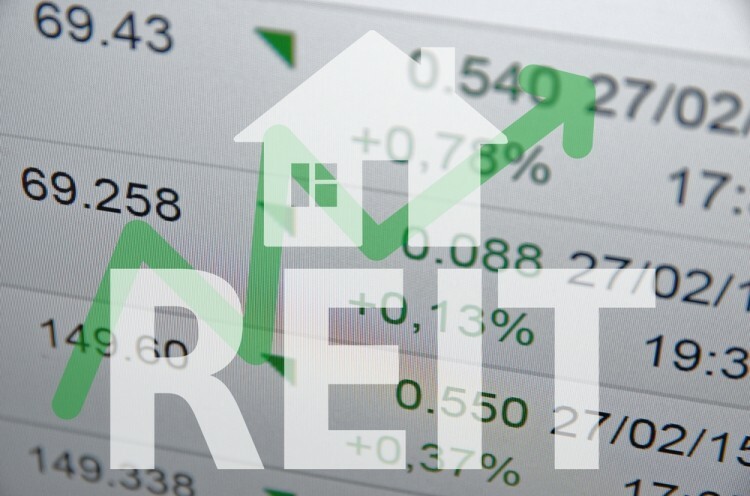 The recent selloff was consistent with the overall REIT market which has sold off after being hot earlier this year. 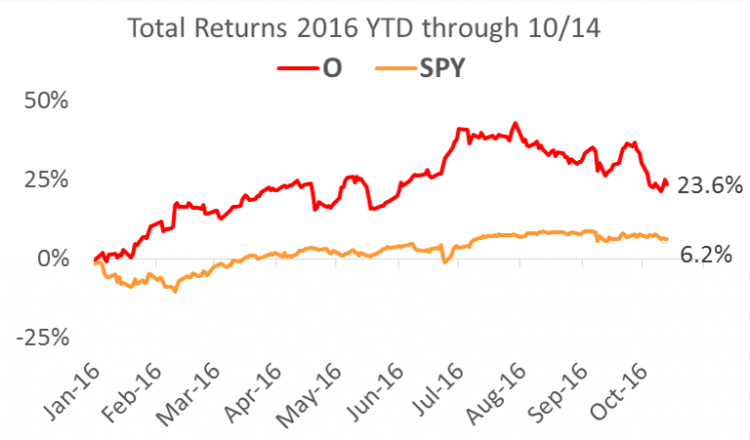 The following chart shows how all REITs (as measured by the Vanguard REIT Index ETF) have performed this year. Just this week, Realty Income declared its 556th consecutive monthly dividend. For perspective, the following chart provides history on the company’s dividend history and growth.